Welcome to the Cary Family Dental blog. In the article “Fatty Fish, Nuts May Prevent Gum Disease,” author Jennifer Warner explains that a recent study links diets high in polyunsaturated fatty acid (PUFA) with a lower risk of periodontitis. Gum disease is a common dental malady for many men and women. When gum tissue recedes from a tooth, it forms a pocket. This pocket is a warm, moist place for bacteria to flourish. If gum disease (periodontitis) goes untreated, the teeth and jaw bone are in jeopardy. During dental examinations, our team measures gum line pockets and examines all teeth for signs of gum disease. 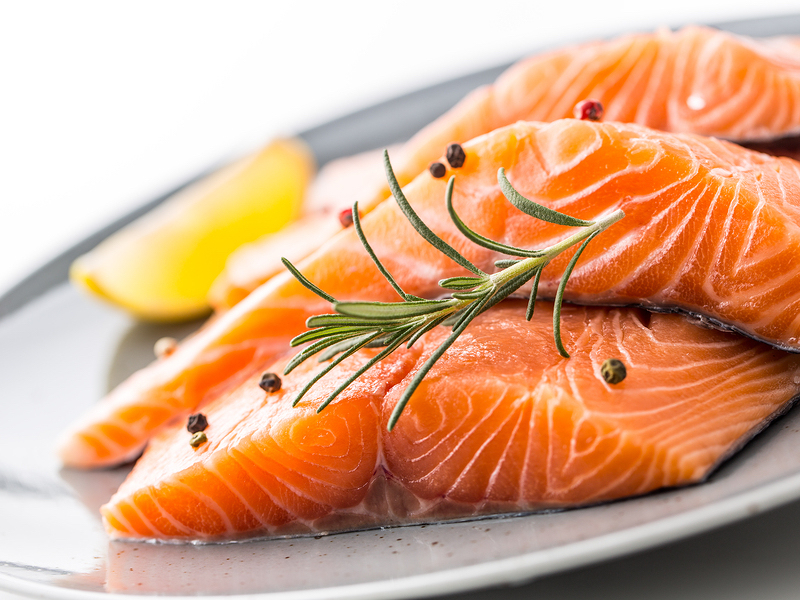 Foods rich in PUFAs include salmon, tuna, trout, mackerel, sardines, and herring. Oils high in PUFAs include safflower oil, soybean oil, corn oil, sunflower oil, and margarine made with the previously mentioned oils. Almonds, pine nuts, walnuts, pecans, brazil nuts, pumpkin seeds, sesame seeds, sunflower seeds, and flax seeds are high PUFA nuts/seeds. Not many people eat mackerel and herring commonly, but maybe some of us could benefit from becoming more adventurous when it comes to seafood. The possible prevention of gum disease is not the only reason to eat high PUFA foods. These foods pack a nutritional punch and have a plethora of health benefits. The next time you are stocking up at your grocery store, you may want to add some salmon and walnuts to your grocery list. It is crucial to understand that diet alone will not treat or help you avert gum disease, however, it may be an additional tool for maintaining healthy teeth and gums. If you have not been to your family dentist in a while, we urge you to schedule an examination and cleaning today. We are currently taking new dental patients at Cary Family Dental. Our services include wisdom teeth removal, gum disease treatment, and laser dentistry.